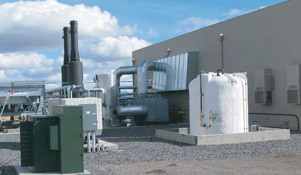 The High Sierra project is California's first utility owned cogeneration facility and provided a solution for the areas previous electrical problems. At Western Energy Systems, we have a wealth of experience in providing innovative energy solutions for challenging applications. 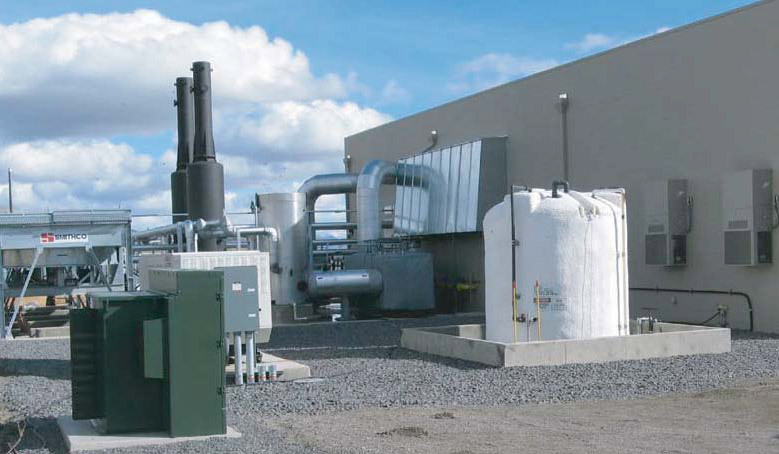 The project highlighted here is a cogeneration project that we designed and implemented for the Plumas-Sierra Rural Electric Cooperative. The customer is a regional utility that services 8,000 different electric cooperative customers in northeastern California and a small portion of Nevada. The PSREC serves primarily rural customers who are located amongst rugged terrain that makes service transmission and capacity expansion very difficult. When the strain on the previous system began causing significant outages and reliability issues, the PSREC contacted us to develop cogeneration facility that would meet the increased demand of the underserviced area. Prior to implementation of the cogeneration facility, the 120 mile long, 69 kV transmission line had experienced a high line loss of 10%. This resulted in poor voltage, increasing transmission costs, and consistent outages to the two correctional facilities that are located along the line. The 21 million dollar project was started in 2008 and commissioned in 2010. Now, two Jenbacher JMS620 engines provide 20% of PSREC’s energy needs and a once strained region has the ability to easily accommodate future expansion as electrical demand increases. The two natural gas fueled engines provide a total of 6 megawatts of power and a heat rate of 9,300 HHV. The correctional facilities utilize the heat generated for their hot water needs, which allowed them to replace an inefficient boiler system. As the correctional facilities continue to make energy efficient upgrades, more energy from the cogeneration system will be available for other PSREC customers. Due to the efficiency of the cogeneration facility and the reduction in emissions, the PSREC also receives emission credits and meets federal climate change compliance requirements. We are proud to have provided PSREC with the first utility owned cogeneration plant in the state of California. By utilizing our Integration Solutions Model, we are able to manage projects from the design, development, and engineering phase, all the way through construction and commissioning. For additional details regarding this cogeneration project, contact us directly.